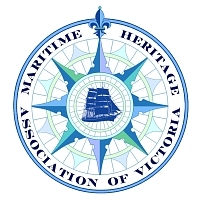 The Maritime Heritage Association of Victoria believes that the Seaworks site at Williamstown should be developed as a major maritime heritage centre, managed by a dedicated not-for-profit organization holding a long-term lease for the site. The precinct should from the outset plan to become one of the most significant 'working port' maritime centres in the world. The management organization should be responsible for developing and implementing a staged long-term business plan, for the viability of the operation and all decisions regarding sub-leasing and activity choice for the site. The organization should appoint operating personnel and manage overall aspects of the site. To ensure viability, the organization must be linked to, and ensure the financial and other ongoing support, of all three levels of government, the maritime industry, the full range of community maritime organizations and interested individuals. All commercial operators on the site should be selected primarily on their ability to support heritage aims, financially or otherwise. For instance, heritage vessel operators contribute largely by their very presence and continued viability. The site lends itself to the development, construction and operation of a sympathetic function centre with views toward the city and seating for perhaps 150 guests, with such a facility generating major funds for the site. The two larger slipways should be refurbished for use and operated by commercial interests on a leased basis. The present site was left to run down after the Port of Melbourne Authority ceased operations in 1991. Since 2003 there have been major physical and financial investments by hundreds of volunteers to clean it up, and bring it to its current state of low-key suitability for public access to maritime events. The Seaworks site is already much appreciated locally and across Melbourne, and has the potential to become an internationally-famous maritime centre. However, the present shore infrastructure is generally in a poor state, and major injections of capital are required to establish a necessary first-stage critical mass of developments to achieve a viable operation. Ongoing funding arrangements to maintain the facilities and at least the two larger piers must be put in place in conjunction with initial leasing arrangements. It is anticipated that over time capital funding of the order of tens of million over several stages will be required to establish operations. maintain contact with nearby developments, as the site operation may be able to benefit from opportunities such as the availability of the Lopac building (corner of Nelson Place and Ann St), which could provide highly suitable reception, administration and display facilities. In view of the very limited progress over many years, the MHAV urges all associated with the site to press for much more rapid progress from this time forward.